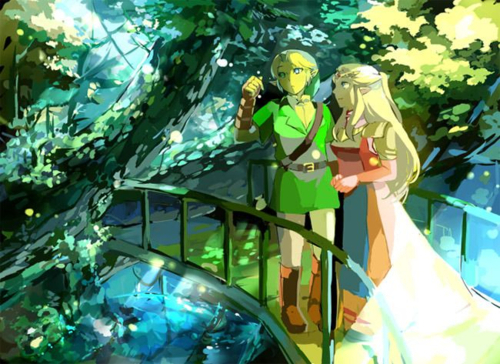 Zelink OoT. . Wallpaper and background images in the The Legend of Zelda club tagged: the legend of zelda link zelda ocarina of time loz legend of zelda. This The Legend of Zelda fan art might contain banana and banana tree.